The International Space Station is gearing up for a busy future on orbit, and NASA, together with their other station partners, recently announced the roster of astronauts and cosmonauts who will live and work aboard the massive orbiting complex beginning in 2013. 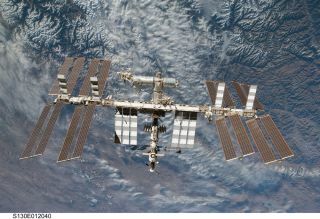 Construction of the $100 billion International Space Station began in 1998 and is expected to end by 2012. The space station is the product of five different space agencies representing 15 countries, and can sustain up to six crewmembers at a time. The space station is about as long as a football field and has about the same amount of living space as a Boeing 747 jumbo jet, or a five-bedroom house, NASA officials have said. It can be easily visible from the ground with the naked eye and can sometimes rival Venus in brightness. NASA currently plans to operate the space station through at least 2020. At the end of its operational life, the station will be decommissioned by burning up in the Earth’s atmosphere over the Pacific Ocean. The 35th crew to inhabit the space station, Expedition 35, will begin after the undocking of the Soyuz 32 vehicle in March 2013. Soyuz 34 will then launch later that month with three new crewmembers to join the other three station residents left behind. At that time, Wakata will serve as the commander of the space station, and Mastracchio will be a flight engineer. The remainder of the Expedition 39 crew has yet to be assigned. Additional crewmembers for Expeditions 37 and 38 will be selected from the Russian cosmonaut corps and will be assigned at a later date.